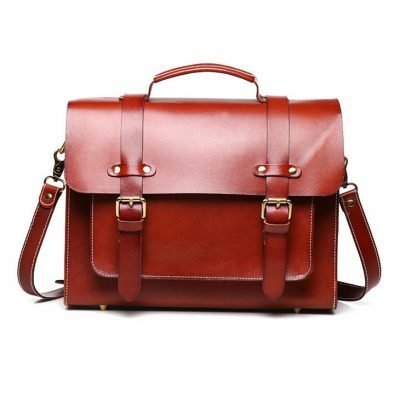 Genuine leather satchel, handmade leather satchel and vintage leather satchel for sale, all black leather satchels and brown leather satchels are handcrafted by expert artisans. 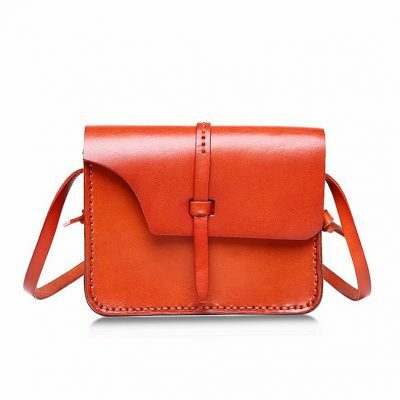 We only offer high-quality and high-end handmade leather satchels to our customers. Both our new and classic leather satchel collections are simply the perfect everyday leather handbag. Completely versatile, these medium and large sized satchels can be worn on the arm or shoulder with ease and grace. And the tailored styling is on-point for everyday, to the office, travel and weekends. Women hardly step outside without a bag. Without anything strapped in our shoulders or dangling in the crook of our arm, we feel incomplete. Bags are more than just accessories to the outfit, they’re necessities. We understand the need of having different handbags in different colors for different occasions, and surely, you have one closet (or more) dedicated for their storage. What women like us are aiming for is to have the essential bag that can fit all our personal belongings, at the same time, has style and elegance. And if you’re looking for something that is both functional and fashionable, it’s time that you add the leather satchel in your shopping list. 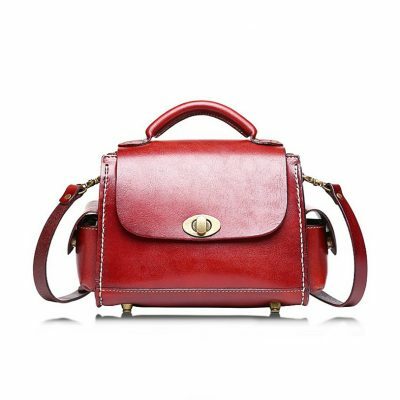 Our collections of leather satchel offer all the classic, elegant, noble and style design that you want. In smaller or bigger styles, we keep the design as smart on the inside—with side pockets and little places to stash your favorite lipstick or your wallet, and much more—as it is beautiful on the outside. You’ll see Fossil’s vintage-inspiration in every bag we create. It’s a belief that the design philosophies that shaped the past have a very important bearing on the creations of the future. Creativity and quality will always make timeless, good design. The leather is a great fabric because it ages so well. It is one of the rare things in life that looks better as it grows older. 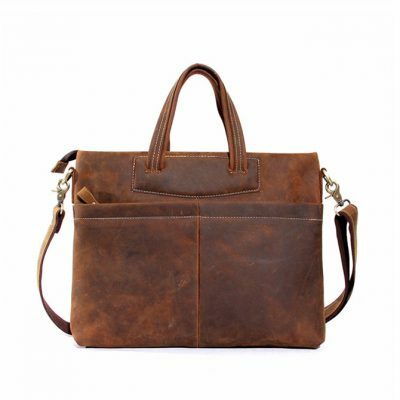 That is why it is an amazing choice for an investment leather satchel bag. You can have this piece for years and it will only get better and better, need we say more? 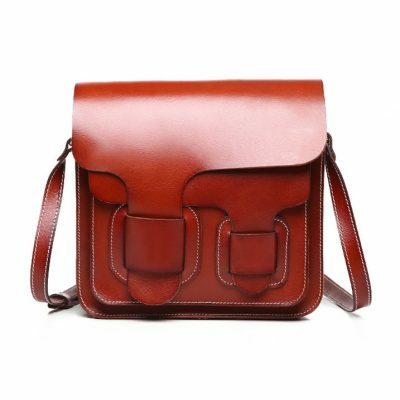 For making our luxury leather satchels, we do not procure leather at cheap rates. Each piece of the world famous Italian leather that we use is hand-picked by our experts from tanneries around Naples, Marche, and Benevento; leather dyes, surface treatment, and threads are from Germany and Japan; hardware is from American and Taiwan; the whole leather goods are handmade in Hong Kong. 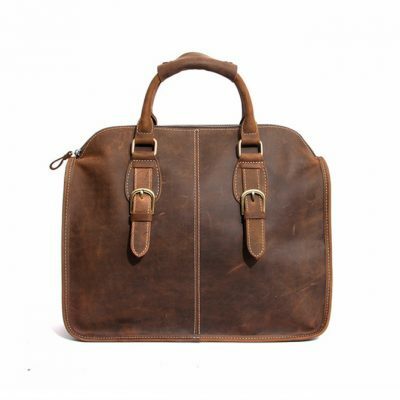 This will ensure that our handmade leather satchel is more investment value. Satchels are one of the oldest types of bags that have been around for centuries. The first known use of the word “satchel” was in the 14th century; Shakespeare refers to the satchel in his play “As You Like It.” Satchels can be both functional and fashionable, most commonly made of leather, because of their durability and timeless appeal. Satchels are one of the bags that are considered to be appropriate for both men and women. Satchels are carried by students, business people, and those who are in professions involving field work. The satchel has a long strap and is meant to be worn across the body, bandolier-style. Satchels are the original cross body bags. Satchel handbags are distinctly different, so it is important to differentiate between the two when shopping. Here are a few things that should be considered in terms of practicality before purchasing a satchel. Ease of Access: A satchel whose contents cannot easily be reached is an impractical satchel. While satchel does double-duty as fashion accessories, they are primarily carried to be useful, not just to look good. Some satchel handbags are modeled after the briefcase-style satchel and feature actual buckle closures; however, these can be very inconvenient to undo when one needs to answer a ringing cell phone or find the car keys in freezing cold weather. It is better to look for closures that give the illusion of being buckles while actually being snap closures. Most satchels are structured and feature pockets both inside and outside, so staying organized and being able to find things is usually not a problem. Women who still have trouble navigating through a jumble of belongings or switch handbags frequently can make use of a handbag organizer, which not only keeps things in their place but is also easily removed and placed inside another bag for quick changes. Durable Construction: A satchel handbag, if well-made, should last for years. 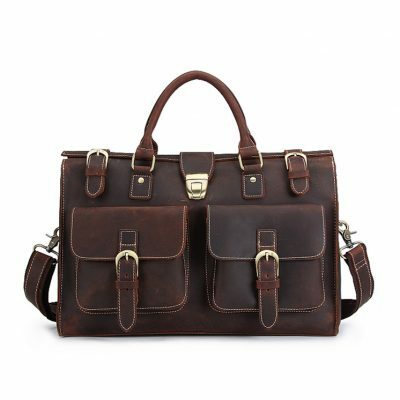 Those who are looking for a classic, timeless satchel should insist upon genuine leather in a basic neutral color; this way, the leather can be cleaned and touched up with shoe care products that are available in the same colors. Strong, even seaming should be evident, and handles should be attached securely to the bag. Check the bottom of the satchel, too: Many feature tiny knobs on the bottom to keep the bag up off the surface of the floor when the satchel is set down. Overall Scale: It may seem obvious, but it bears repeating: A large bag on a small woman, or a small bag on a large woman, looks out of proportion and somewhat silly. If possible, a bag should be tried on and viewed in a mirror before purchasing. If a woman is shopping online and try-on are not possible, then the bag’s dimensions should be obtained and considered carefully. Any measurements can be compared to a bag already in possession to get an idea of how large the satchel will be.
. Scratches and Polishing: Scratches can’t really be prevented so if you don’t want the unpleasant effects of scratches into your leather satchels, you are advised to keep these away from pointed materials and sharp metallic objects. You also need to be extra careful when placing and handling your satchels into the ground. Applying boot polish or saddle soap is also one way of protecting your leather satchels. This will actually coat the leather with more protective finish which makes it more durable. However, you have to note that any type of polish even the natural colored or clear polish can pose effects on the color of your leather. It would be best to test a small amount in one area first and see the possible effects on the color. Apply polish at least every two weeks.
. Dust and Dirt: If small dirt marks are found on the finished side of the satchel leathers, a small amount of warm water and elbow grease can usually do the trick to get rid of these dirt marks. You can also consider using a safe product that contains natural oil solutions which are proven to be highly effective in removing stains and marks on your leather satchels. Another way on how to care for leather satchels is not to use much pressure. It would be better to rub the mark lightly a hundred times with lower pressure than ten times with lots of pressure. High pressure might just be likely to eliminate the finish and pose damage into the leather satchels.
. Water Splashes and Rain: You should not let your leather satchels to get wet because if they do, this might result to damages and unpleasant effects on the leather material. When this happens, allow the leather satchels to completely dry or you can wipe this with clean dry cloth and allow it to dry naturally. Never force-dry your leather satchels by utilizing heat, placing on radiators and using hairdryers. The best thing to do is to place this in a place with normal room temperature.
. Storage: Keep all your leather satchel bags in a clean and dry place especially when not in use. You can also keep them on specially-designed dust bags which usually came with the leather satchels to help completely protect them. If you own leather satchels, other ways to care for your valuable items is to keep them from extreme temperatures and should be guided accordingly when applying particular care products. If these ways on how to care for leather satchels are practiced, then you can expect for leather satchels that look like new and more durable suited for longer use. 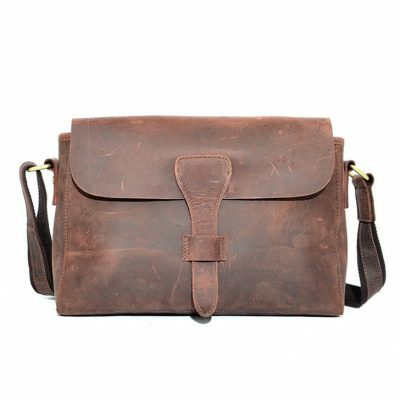 popular search: leather satchel, leather satchels, brown leather satchel, handmade leather satchel, mini satchel, leather satchel handbags, leather satchel purses, soft leather satchel, women’s leather satchel, black leather satchel, leather satchel online, vintage satchel, vintage leather satchel.